The American Flat Track season kicks off with the Harley-Davidson DAYTONA TT presented by Politis & Matovina on Thursday, March 16 and AFT Events is excited to welcome Ace Cafe Orlando as a new partner for the highly-anticipated event. The Ace Cafe is internationally-known as the absolute mecca for motorcycle, car and rock-and-roll enthusiasts, and is now adding dirt to the mix by stepping in to support professional Flat Track racing. The iconic Ace Cafe opened in 1938 as a transport cafe on the north edge of London. In the ‘50s and ‘60s, it became a pillar of motorcycle culture as British youth discovered rock ‘n’ roll music on the jukeboxes and raced their bikes from cafe to cafe. Over the decades, the Ace has become a cultural phenomenon around the globe and recently announced the very first Ace Cafe in the USA will be opening in downtown Orlando this Spring. As well, Ace Cafe and AFT Events will host the talents of Giddy Up Go, a revved-up, honky-tonk country band that will entertain the masses as everyone prepares for an epic on-track battle. American Flat Track will kick off the 2017 season during Daytona’s Bike Week festivities on Thursday, March 16 with the all-new Harley-Davidson DAYTONA TT presented by Politis & Matovina, built inside the tri-oval at Daytona International Speedway. The DAYTONA TT will mark the dawning of a new era for America’s most historic form of motorcycle racing, and the “World Center of Racing” will serve as the first battleground for the great American war between Harley-Davidson and Indian Motorcycles in 2017. Tickets for the DAYTONA TT are now on sale and can be purchased at www.daytonainternationalspeedway.com. 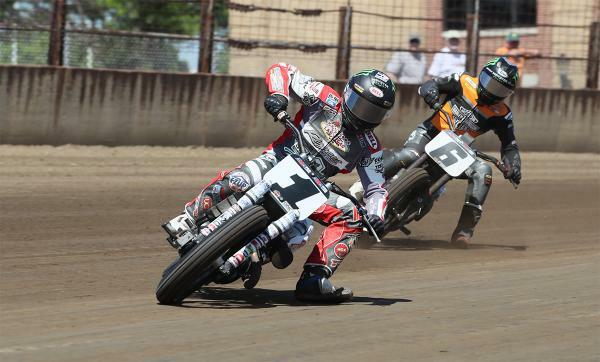 NBCSN and FansChoice.tv are the official homes for coverage of American Flat Track events. All 18 rounds, from the season-opening DAYTONA TT to the American Flat Track Finals in Southern California, will air in one-hour, tape-delayed telecasts on Thursday nights throughout the summer and fall on NBCSN, while FansChoice.tv provides live streaming coverage of American Flat Track events. FansChoice.tv also provides coverage of IMSA's development and single-make series, and NASCAR's touring and weekly series. Catch all the action at https://www.nbcsports.com/ and https://www.FansChoice.tv. American Flat Track is the world's premier dirt track motorcycle racing series and one of the longest-running championships in the history of motorsports. Sanctioned by AMA Pro Racing in Daytona Beach, Fla., the series is highly regarded as the most competitive form of dirt track motorcycle racing on the globe. For more information on American Flat Track, please visithttps://www.americanflattrack.com, follow us on Twitter, like us on Facebook, live stream the events at FansChoice.tv and catch all the American Flat Track racing action on NBCSN.